"Though argument does not create conviction, lack of it destroys belief. create belief, but it maintains a climate in which belief may flourish." NOTE: BMAF NO LONGER SENDS EMAILS TO MEMBERS. PLEASE REGISTER AT BOOK OF MORMON CENTRAL. THROWING ARROWS? by Cheney, Mark F.
Response to Jonathan Neville’s Two Books: Moroni’s America: The North American Setting for the Book of Mormon and Letter VII by Andersen, Joe V.
Faith and Forgeries by Gardner, Brant A. Three Separate Lands Bountiful: Where Located? What Size? To Which Bountiful Did Christ First Appear? by Andersen, Joe V.
Exploring the Explanatory Power of Egyptian and Semitic in Uto-Aztecan by Stubbs, Brian D.
Hebraisms and other ancient Peculiarities in the Book of Mormon by Parry, Donald W.
Implications of Eight Times and Seasons Articles That Allude to the Book of Mormon in Conjunction with Mesoamerica, Including Seven Articles That Deal with the Explorations of John Lloyd Stephens by Stoddard, Ted Dee and Andersen, Joe V.
MAKE PLAIN THE OLD PATHS by Williams, Clyde J.
Nephites among the Epi-Olmec in the Isthmus of Tehuantepec, ca. 100 BC to AD 400 by Andersen, Joe V.
TRANSLATION OF THE “CARACTORS” DOCUMENT by Grover, Jerry D.
10. What Role Do “Desolate Cities” Play in Locating Book of Mormon Lands? by Ainsworth, Jerry L.
16. What Caused the Three Days of Darkness after the Crucifixion? by Ainsworth, Jerry L.
17. Who Were the Twenty-four Survivors of the Final Battle? by Ainsworth, Jerry L.
18. What Are the Towers Referred to in the Book of Mormon? by Ainsworth, Jerry L.
19. Were Most Jaredites Killed Near the Hill Ramah? by Ainsworth, Jerry L.
20. Did Moroni Foresee the Time of His Death? by Ainsworth, Jerry L.
5. Are Any Book of Mormon Cities Buried in Lakes? by Ainsworth, Jerry L.
Chiasmus in Mayan Texts by Christenson, Allen J.
Isthmus of Tehuantepec: Not the “Narrow Neck of Land” by Andersen, Joe V.
Response to Jonathan Neville’s The Lost City of Zarahemla by Andersen, Joe V.
“Nearly Surrounded by Water:” An Analysis of What Mormon Meant and What He Did Not Mean by Andersen, Joe V.
Additional Truth and the Proof: River Sidon Ran North, Not South by Andersen, Joe V.
Examining the Heartland Hypothesis as Geography by Gardner, Brant A. Remarkable Book of Mormon Evidences Hidden in Plain Sight: More Hebraic Patterns in The Book of Mormon by Heater, Shirley R.
The Narrow Strip of Wilderness Was Mountainous by Andersen, Joe V.
The Treaty Line of AD 350: Its Paramount Geographic Importance by Andersen, Joe V.
11 . What Advantage Did Mormon Seek by Selecting Cumorah as the Site for the Final Battle? by Ainsworth, Jerry L.
12. Could the Book of Mormon Events Have Taken Place in South America? by Ainsworth, Jerry L.
13. Did Moroni Bury the Plates More Than Once? by Ainsworth, Jerry L.
14. Where Are the “South Countries” Spoken of by Mormon? by Ainsworth, Jerry L.
15. Is There Evidence That Mormon and Moroni Visited the American West? by Ainsworth, Jerry L.
6. How Bad Was the Destruction at the Time of the Crucifixion? by Ainsworth, Jerry L.
7. Do Remnants of the Maya Language Appear in the Book of Mormon? by Ainsworth, Jerry L.
8. Are Ruin Sites on the Yucatan Peninsula Related to the Book of Mormon? by Ainsworth, Jerry L.
9. Does Cerro Bernal Meet the Description of the Hill Cumorah? by Ainsworth, Jerry L.
Response to Jerry L. Ainsworth’s Article, “Identifying the Book of Mormon’s Narrow Pass” by Andersen, Joe V.
Revisiting "A Key for Evaluating Nephite Geographies"√ by Clark, John E.
1. Did Lehi and His Family Encounter Other People upon Arriving in the Americas and, If So, Whom? by Ainsworth, Jerry L.
2. How Does Your Concept of Book of Mormon Lands Differ from Maps Drawn by Others? by Ainsworth, Jerry L.
3. 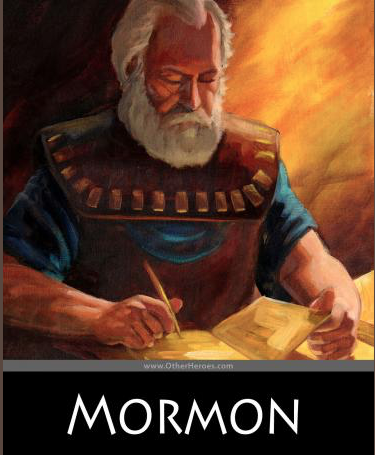 What Changes Occurred in Book of Mormon Lands at the Time of the Crucifixion? by Ainsworth, Jerry L.
4. Is the Lamanite City of Jerusalem Sunk in Lake Atitlan? by Ainsworth, Jerry L.
Identifying the Book of Mormon’s Narrow Pass by Ainsworth, Jerry L.
Cutting Down a Tree: a Metaphor for Death in Scripture and Mesoamerica by Wirth, Diane E.
Did Book of Mormon witnesses simply see the golden plates with their 'spiritual eyes'? by Christensen, Douglas K.
Zarahemla: Its Size and Its Rise and Fall by Andersen, Joe V.
Chiamus in Mayan Texts by Christenson, Allen J. Toward Becoming a Gospel Scholar by Welch, John W.